I tried to write something on Uttar Kand.. When Sita ji leaves Ayodhya..
so i just wrote some stuff and non-sense.. Please read and bear with me..
please leave ur comments and suggestions..
i would luv to incorporate them..
Also, please be frank and let me know if i should just stop.. because i know i am a terrible writer.. lol.. Here you go... and BTW I made a banner for the same... though it din't came out very nice..
and I am realizing that I have forgot photoshop completely.. It was a dark and stormy night.. some people sitting in a group under the trees turned their lamps off and walked towards their home..now there was no one on the road.. it was all quiet unless the wind was gusting through the trees and bushes.. whole place looked like some wild and sequestered area..
but the storm inside this grand chamber of Rajmahal was still on..
Shree Ram!.. the king of Ayodhya.. he was sitting on a pew leaning his head back.. He was the king of this big realm.. people says he is Shree Vishnu Narayan himself..
who is saviour of sages and innocent people..the one who killed so many demons.. he is the most powerful man yet a person with a kind heart..
and this same king is feeling helpless today...he has the power to do anything he wants..
but today he couldn't do anything.. he couldn't hide his sufferings which led to this dreadful night..
how they don't trust their own king and queen..
after everything happened during the exile..
when this whole nature became a witness of Sita's purity..how can these people condemn her.. He tried hard to hide this truth from his Sita.. but he couldn't hide the pain he was going through..
he was lost in thoughts.. and came out of his trance with the sound of thunderstorm... he got up with a heavy heart and looked outside the window..
it was very dark.. just like the void he had in his heart right now..
curtains of his room were blowing with a strong rush of wind..
he was about to close the window when he heard the sound of door opening.. a chilled shiver ran through his spine down..
Sita was standing there wearing saffron color saaree.. his heart sank seeing her again in these plain clothes.. "Raghunandan..!!" She ran towards him..and held him from his shoulder..
she gave him support and made him stand..
tears rolled down on her cheeks..
"Are you okay..??" she asked him..her eyes welled up seeing his condition and she cursed herself for everything..
"I sent some one to call Saumitra Lakshmana..."
"he will drop me to some near by woods.. and then I'll go...he will be here anytime.."
"please control yourself.. we have to be strong"..she said and wiped his tears..
"i... i just..." she wasn't able to speak anything..her throat went dry..
and once again her eyes got moist..
she held his hands and looked into his eyes.. "please forgive me..."
she closed her eyes and lowered her head..
they both tried hard but couldn't stop themselves..and cried their heart out..
his chest was soaked in her tears.. she caressed her hand on his back to console him..
and he held her closer to his heart and din't want her to leave..
he cupped her face in his one hand and she caressed her hand on his..
"you don't have to do this.. i'll handle everything..
you're my soul.. if you will leave me how will i live without you..?? i can't go through the same pain again..."
and her grip got harder on his hand..
she lowered her eyes nodded in no.. "i can't..."
"Ayodhya needs you.. these people need you..you're their king.. but they don't want me to be their queen..
i can't see that contempt in their eyes for me..."
her eyes were moist remembering the day when they all three left for exile and these same people wanted them to stay..
"and how can i let this happen.. when i know you are not at fault.. i can't do injustice with you to keep them happy..". he said and lowered his eyes in gulit...guilt of seeing people talking low about his wife and doing nothing...guilt of his helplessness for not being able to prove the purity of his wife without testifying her..
she din't reply anything but smiled meekly.. "this is our fate... and we can't change anything.."
he held her hands and placed them closer to his heart..and looked at her... she could see in his eyes how hurt he was..
"I am so sorry Raghunandan.. please forgive me.."
"we both saw a dream to give everything to our people.. King Dashrath gave you this responsibility.. he wanted you to be there for your people every time..they love you and they respect you.. and i don't want these people to disrespect you because of me..
"my husband loves me.. he trusts me.. and he din't want me to go..
i love you Raghunandan.. and I'll love you for eternity.."
how would you fix this..??? you know what they want.. and i can't go through that again..
i can't Raghunandan..she broke down..
he could never forgive himself for asking her to give Agni Pariksha in Lanka..
if he would have just accepted her like that only.. then probably people wouldn't have thought about all this..
by that Agni Pariksha he himself gave them liberty to question her purity..
he could see the pain of that Agni Pariksha in her eyes..she was trying to be strong this time.. but he knew she wasn't strong enough to live without him.. neither was he..
the thought of living alone again made them weak..
they both din't know if they will ever be able to see each other again.. they wanted this time to stop here..
"I love you too Sitey!! I love you too.. please forgive me for everything.. please forgive me..."
they needed each other..while fear of this separation broke everything inside them and they both were trying to be support for each other..
they were sitting on the floor like that..and came back to their trance when they heard a knock on the door..
Lakshman was standing there lowering his head down.. "Lakshman!" Shree Ram sighed! he felt a sharp pain in his heart.. he looked at Sita.. and they both realized that it's the time..
"Lakshman Bhaiyya.. please come inside.." Sita said.. she wiped her tears and picked her bale..
Lakshman looked above and his eyes got widened seeing her clothes... "Bhabhi..???" he looked at his brother Ram who was in a worse condition.. he walked towards him with long footpace.. and held him..
"lakshman bhaiyya.. We need to talk to you.".. Sita said..
how was it..?? should i continue?? I am so much nervous right now..
Di, Its So So Beautiful And Touchy !! Please Please Do Continue Soon ! I'm Waiting Eagerly To See More Of This ! Aw! thank you so much Proteeti.. I'm so sorry for the long wait, Swati! Superb job with this first TS of yours! First of all, I really love the banner. 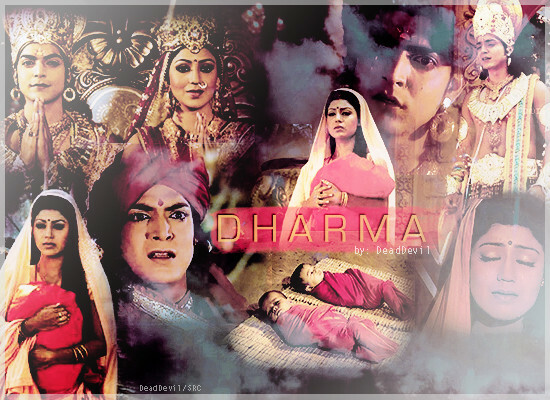 You chose perfect pictures of Siya Ram, and the blending/coloring is perfect! Coming to the story, I am really astounded by your writing skills. You are an amazing writer! The way you write about emotions is beyond perfection, great job! I really love the way you started the story by describing the condition of Ayodhya that terrible night that Sitaji left. Just like the emotions inside the palace, the condition outside too was dark and dreary. I could immediately feel the emotions you were writing about, and that's the mark of a true writer! I really like your conversation between Ram and Sita. I like the fact that they sat down and talked about what happened, and Ramji even suggested different things they could do to prevent Sita's exile. I wish ASR had really shown such a scene. The conversation between Ram and Sita was much too short. In your story, I like the fact that Ramji is emotional without succumbing to weakness, and Sitaji is strong while yet showing her own emotions. I hope you continue! This is a great story and I'd love to read a sequel. RES for a long comment! I will edit in two days Swati, as I'm travelling tomorrow. thank u di.. can't wait for ur reply..